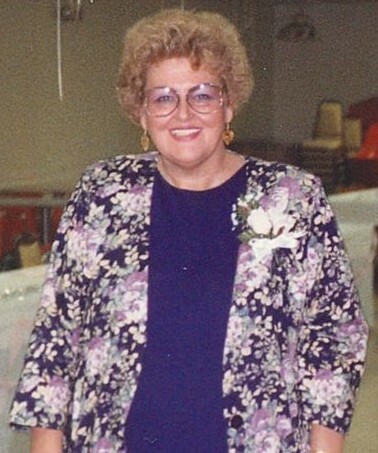 Claudia J. Nutt, age 76 of Mount Gilead, died Sunday Evening, February 3, 2019 at Woodside Village Care Center. She was born on November 30, 1942 to Henry Steinhausser of Marengo and the late Emma (Delgarn) Steinhausser. Claudia worked as a Hotel Manager in Westerville. She was a member of the Ladies VFW Auxiliary. Claudia loved horses, music, bowling (had bowled in several different leagues), and hosting block parties. She loved to have a good time. On December 30, 1972 Claudia married Kenneth Nutt in Columbus, who preceded her in death. Claudia is survived by her daughter Elizabeth (Michael) Brewer of Cardington; granddaughter, Angel (Patrick Jr.) Miracle-Sargent; great-granddaughter, Abigail Miracle-Watson; son-in-law, Christopher Miracle of Mt. Vernon; brother, Henry (Debbie) Steinhausser Jr. of Stoutsville, OH; and several aunts and uncles. In addition to her husband and mother, Claudia was preceded in death by a son, Earl Woodruff and a sister, Carol Combo. A funeral service will be held on Friday, February 8, 2019 at 1:00 pm at the Oak Grove Cemetery Mausoleum, 4108 U.S. Route 42 South, Lexington, OH 44904. Pastor Steven Dennis of St. Paul Lutheran Church in Cardington will be officiating. Those wishing to share a memory of Claudia or to express a condolence to the Nutt family may do so by visiting www.gompffh.com.